While Windows Phone 8 early adopters eagerly await for the first handsets to arrive in the next few days, current Windows Phone users may have to hold out a bit longer for their OS update. Chinese tech blog WPDang cited unspecified sources that claim that Windows Phone 7.8 will make its debut pre-installed on a new line of low-end WP7 handsets four to six weeks after the Windows Phone 8 launch. Only after the new handsets hit the market will carriers start pushing the 7.8 update to subscribers. Microsoft may not be looking for any news to distract from the new Windows Phone 8 smartphones, so it is difficult to be skeptical about rumors of a delayed 7.8 launch. While the Windows Phone 7.8 update will miss out on most of the new features for Windows Phone 8, it will bring Wi-Fi tethering to legacy smartphones. Also look for WP7.8 to include an updated home screen with live tiles that take advantage of the entire screen space. A Nokia document hinted that the camera software on its WP7 smartphones will also see an upgrade, though other OEMs have not made similar announcements. 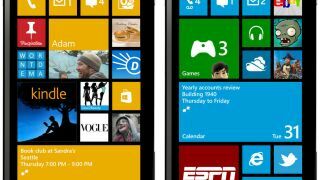 WP7 users will still miss out on new Windows Phone 8 features, like true multi-tasking, NFC support, over-the-air updates, multi-core processor support and IE 10. The HTC 8X will be the first Windows Phone 8 handset on the market, arriving Nov. 2, and followed by the Nokia Lumia 920, Lumia 820 and Samsung Galaxy Ativ S.
In the mean time, WP7 users will just have to wait until the Windows Phone 8 furor calms down enough for Microsoft to give 7.8 another look.